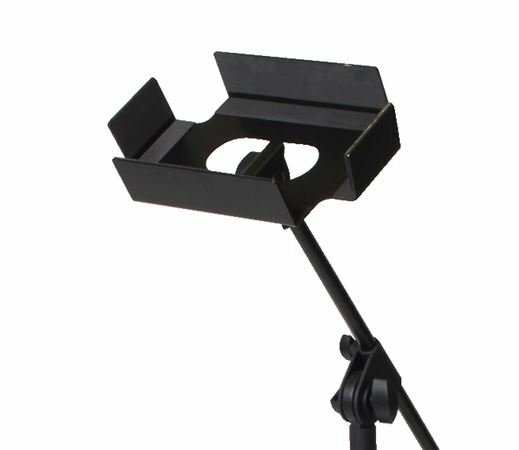 Shop Samson SMS308 Mic Stand Bracket for Samson XP308i/XP800 Mixers from AMS with 0% Interest Payment Plans and Free Shipping. The Samson SMS308 Mixer Bracket is the ideal accessory for Samson's Expedition XP308i and XP800 Portable PA systems and is custom-designed to fit the XP mixer. The SMS308 mounts to any standard microphone stand (mic stand not included) for easy mixer placement and audio level adjustments without interrupting ongoing performances.The solid metal SMS308 is built to securely hold the mixer for performance and allow for easy mixer removal for storage or transport in the XP speaker cabinet compartment.